Being a true paradise for cultural tourism, Greece is perfect as a venue for an evocative Destination Wedding. Miles of aquamarine coastline dotted with romantic islands, and the sun bleached ancient ruins provide a wide variety of options to celebrate your special day. The major tourist destination that it is, Greece has 16 international airports; the busiest being Athens International Airport, which has frequent flights connecting it to major destinations across Europe, Asia, Africa, Australia and America. For your wedding, set sail to a romantic Greek island and spend time on idyllic beaches or in quaint towns full of narrow alleys, charming red-tiled homes and blue-domed churches. Or you could also head to towering mountain ranges, wine producing valleys and lush forests. 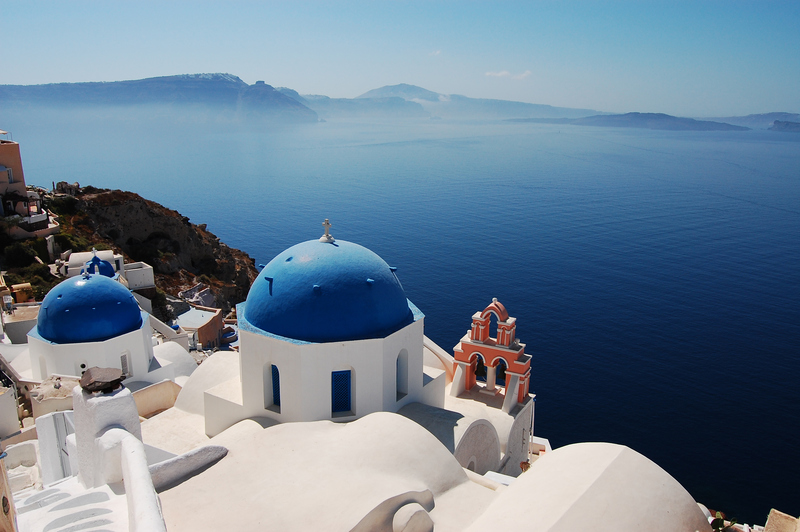 Santorini – voted 2011 Top Island Destination. 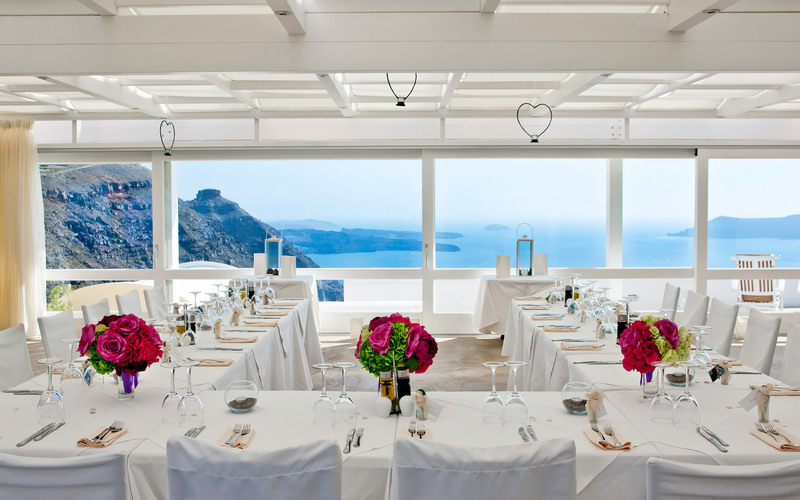 Weddings in Santorini are a romantic affair, be it on the Caldera, by a pool or on the beach. The backdrop of the volcano and the breathtaking sunset promise you treasured memories for years to come. Pyrgos – with a panoramic island view, the Pyrgos Taverna is a perfect spot for a spectacular wedding. The facility is designed to create a modern, contemporary feel allowing guests to enjoy the event whether they are in the outside foyer enjoying meals, having drinks, or taking pictures of the extraordinary island view, vineyards and unique sunset. Santa Irini Chapel – A traditional whitewashed chapel in a perfect setting. 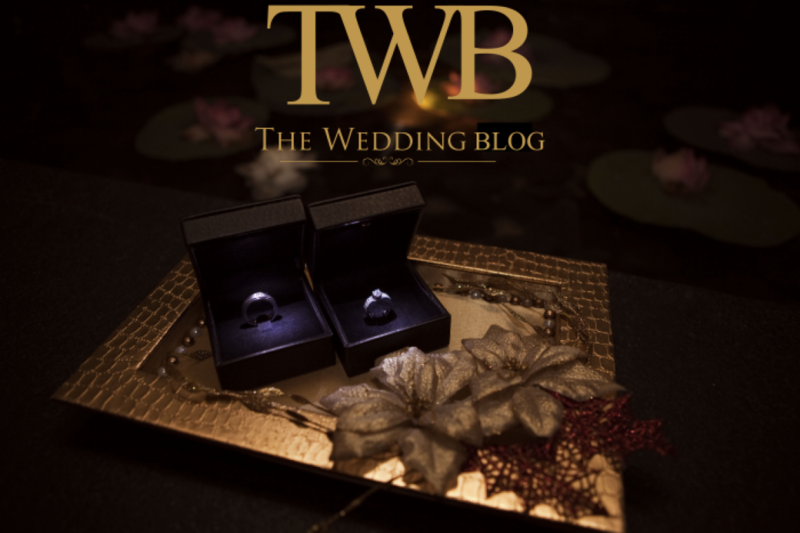 The ceremony can take place at sunset, the most magical time of the day. 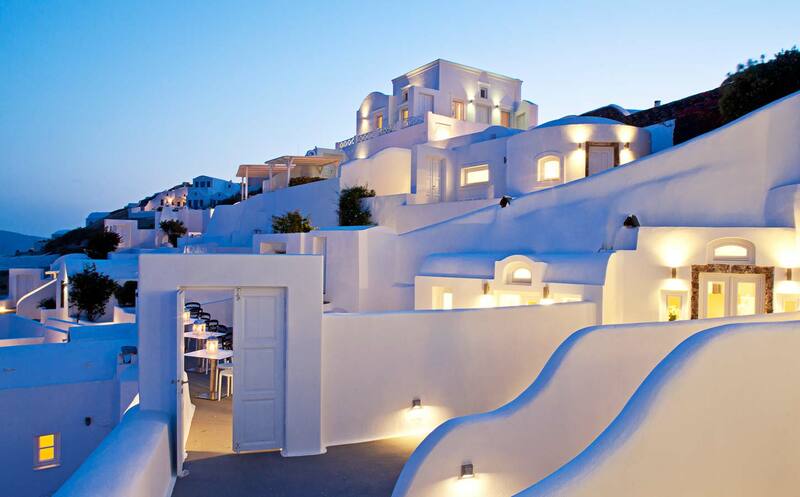 The location has a fantastic view and it is surrounded by buildings in typical Cycladic architectural style. Mykonos – Mykonos wedding ceremonies take place at the historic town hall building situated on the waterfront in the glamorous main town. 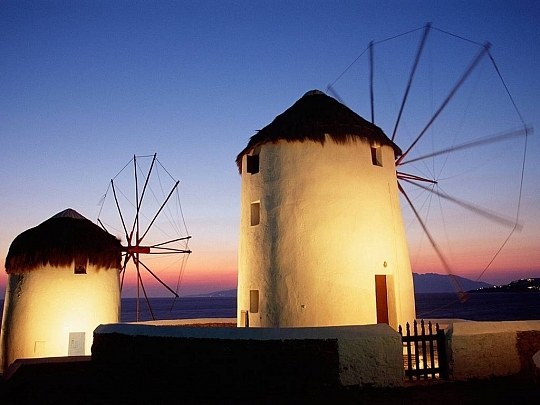 The most popular and one the most authentic locations across the Greek islands is the Mykonos Windmill with amazing views of the Little Venice bay. To make your wedding even more romantic, opt for the horse and carriage. Your wedding reception will be held at the only hotel in the centre of Mykonos Town by the decorated pool are with excellent views of the town and sunset. There are an infinite number of ways to enjoy your time celebrating in this ancient country. Experience the magnificence of the Acropolis or choose from a vast array of stunning archaeological sites. Explore a traditional market to shop and stop to dine at a taverna. In the evening, partake in its famous multifaceted nightlife. With it’s rich history and fascinating culture, Greece is one of the best destinations for a unique wedding or honeymoon.